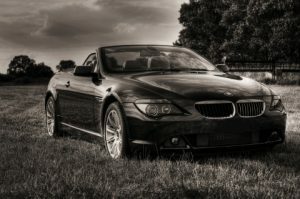 BMW Repair Denver: How’s The Tire Pressure? Are Your BMW’s Tires Prepared For Winter? It can be difficult to get excited about winter, especially if it’s your least favorite month. Plus, driving on icy and snow-packed roads is downright terrifying. However, with the winterization tips our BMW’s repair gurus in Denver have to share with you, you may be more inclined to venture out on a snowy day. In our previous post, we started giving BMW owners some information about winter tires and how they may benefit you. Here’s more information regarding tires this winter. It doesn’t matter whether you have snow tires, all-terrain tires or plain-Jane tires that have no specialty to them, tires should have the correct air pressure in them. In order to stay safe out on the road, BMW’s leading repair experts want to make sure you understand tire pressure changes throughout the year. When the temperatures start to drop, so does the tire pressure in your BMW’s tires. It’s crucial you pay attention to the details, such as tire pressure year-round, especially in the wintertime. Tire pressure, even in snow tires, is likely to get low when temperatures start to dip for the first time. An easy way to make sure your tires are set to the correct pressure is by carrying a pressure gauge with you in your glove box. Pull out the owner’s manual of your car, and double check what your car’s tires should be set at. Call us for assistance today! Denver’s leading BMW repair technicians at Avalon Motorsports are equipped to handle the easiest to toughest repairs and services. So, if you need help with checking your tire’s air pressure, feel free to give us a call! We’re in the heart of Denver and can’t wait to help you stay safer this winter.